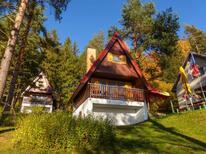 A holiday house in Czech Republic costs on average USD 375 in the cheap travel period and USD 914 in the peak season per week. These details are of course in relation to the house and not per person as well as includes the obligatory additional charges. 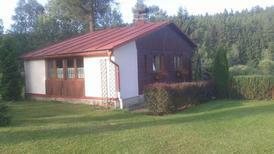 Why choose a holiday home in the Czech Republic? At the heart of central Europe, the Czech Republic's rich culture, rejuvenating spas and winter sports destinations are perfect for a holiday home experience. The country's well-developed transportation system provides easy access to all the castles, skiing and beer gardens one could hope for. 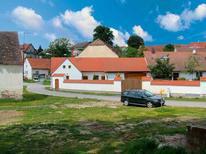 All across the Czech Republic, TUIvillas.com is a reliable source for the ideal holiday vacation rental. The capital city of Prague is as old as it is beautiful, filled with Gothic and Baroque architecture spanning centuries. Rent an apartment along the Vltava River and stroll across historic Charles Bridge for picturesque views at sunrise and sunset. A short walk to the west is Prague Castle. The ancient fortress is enormous and worth the time it takes to see. Don't forget to stop by one of the many pubs for a refreshment; the country is also famous for producing delicious beer. 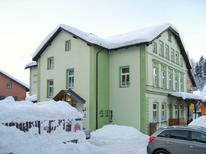 The Czech countryside is dotted with opportunities for family skiing across rolling plains and evergreen valleys. 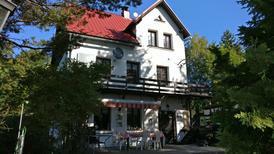 One of the best areas is Spindler’s Mill (Špindlerův Mlýn), on the northern border with Poland. 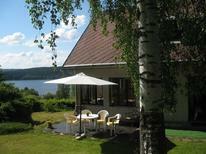 A holiday rental in this region is great for outdoor activities. In the winter months, ski pistes for all levels and a charming resort town make this a top choice for a cosy holiday house with the family. 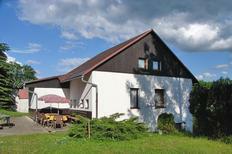 To beat the cold weather, head to the country’s western region of Bohemia. The town of Karlovy Vary, sometimes called Karlsbad, has been popular among European travellers since antiquity for its numerous thermal springs with alleged curative properties. After a relaxing soak, stroll past the town's distinctive collonade architecture to one of several world-famous glassworks. 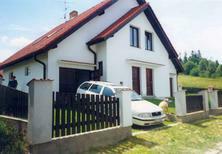 TUIvillas.com provides trustworthy service for renting a holiday home in the Czech Republic. Whether it's a charming cabin in the country or a holiday apartment in Prague's bustling centre, TUIvillas.com is a reliable source for quality properties and affordable holiday houses for families.